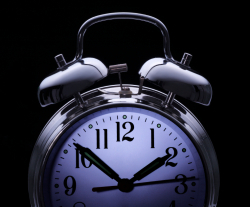 Insomnia is often a complex problem with many underlying factors at play. The most common cause of chronic insomnia is actually the fear of not being able to sleep which is kind of ironic isn’t it? In my previous blog post: Homeopathy and Insomnia – The Background – I explained the main chemicals involved in sleep and gave nutritional and supplemental advice. Now I am going to look at some specific Homeopathic medicines that may help you with your sleeping issues. As insomnia is such a complex problem often with issues such as underlying anxiety, it usually requires the services of a professional Homeopath. I find that treating the whole person is highly effective. However, if your sleep issue fits the descriptions in the medicines below, they are definitely worth a try, especially if you have not had your insomnia for a long time. Use this medicine when you have mental over-activity due to good or bad newsl and you are just unable to switch off. When you are under enormous mentaL strain or pressure, or you have withdrawn recently from alcohol or sleeping tablets. Significant irritability in the daytime will be experienced when you need this medicine. If you need this medicine you will wake regularly at around 4am. Your mind will be active at bedtime replaying events from the day over and over. You wil dream alot and talk or laugh in your sleep. Your wakeful time will be between 12 and 2am and you will feel anxious and very restless. If you dream they will be dreams of danger. Use this medicine when you are overtired and giddy, irritable from being up looking after someone else such as a sick child. When you cannot sleep because there is pain or dicomfort and it makes you feel veryt restless so that you want to get up and walk about. Irritable and restless. Take your chosen Homeopathic medcine 30 minutes before bed and repeat when you turn the light off. Repeat if you wake in the night and use as long as you are getting relief. If you do not have an improvemnt stop the medicine. These are just 6 of the medicines that can be effective for treating insomnia. Remember the best Homeoapthic treatment for chronic sleep issues will come to you from a qualified and experienced Homeopath. I’m sorry that you are having trouble sleeping. Prescribing for insomnia involves taking a very detailed case and prescribing constitutionally for the whole person so unfortunately I am unable to prescribe for you without a full and complete consultation in my clinic or on skype. I am 26 & suffering chronic insomnia since last one & half year i m unable to sleep till 4 to 5 AM.my brain doesn’t stop even my brain keeps running & thinking unnecessary things & people. i doesn’t feel sleepy till morning. even when i sleep with sleeping pills the sleep is full of dream always. when i sleep without pills i can sleep in morning 4 to 5 AM and i wake up approx after 3 hours & then i can’t sleep again. my brain doesn’t keep concentrate any time. i always feel anxious, drifting & running mind.my life is very disturbed & became hell. i have tried many homoeopathic medicine like passiflora, coffea cruda, R14,Arsani album, Crab Apple & Cannabis indica but tproblemis still not be resolved. doctor it’s my humble request to you kindly suggest me best medicine & dosage to cure my disease, i would be very thank full of you. I’m sorry to hear of your troubles but unfortunately I do not enter into email prescribing. I suggest you either make a skype appointment with me or visit your local Homeopath. Good day, My son of 16 years old is suffering with insomnia. For the past year he struggles to fall asleep and most nights he is awake till 2-3am. His grades has definately dropped and i need advise on the best and safest treatment please. Dear Anka, Thank you for your comment. I’m sorry to hear of your son’s difficulties with insomnia. If none of the homeopathic medicines in this post fit his issues then I would advise making an appointment either with me via skype or your local homeopath as it is likely he will need a constitutional prescription and I’m afraid I do not enter into email prescribing. my sleep for the last one-year is totally collapsed. i need immediate help to recover my sleep atleast 5 minutes per day. I would recommend you see a Homeopath or naturopath to examine the reasons why your sleep is poor. I have an online course here but am not teaching currently beyond that. Im sorry to hear you are having issues with insomnia. Feel free to book an appointment with me via my online booking system and I will see how I might be abe to help you. Sleep on a pillow that is filled with dried hops. In addition mix 20 g of each herb – raspberry leaves, immortelle (Helichrysum Arenarium), peppermint (Mentha Piperita) and elecampane (Inula Helenium). Stir well, take 3 tablespoons of the mixture and pour 500 ml of boiling water over it. Leave the concoction to cool and then drink it not later than half an hour before going to bed. The remedy source is at http://www.europeanhomeremedies.com/2016/03/05/bulgarian-home-remedies-for-insomnia/ where they have an extensive list of 13 home remedies for insomnia that look really different, yet interesting. I have found that Arnica makes me profoundly sleepy. Now I would like to know what I can take to wake up! Why isn’t Arnica listed as one of your pro-sleep remedies? I discovered this when I was using those creams for pain when I had broken my arm. That is an unusual reaction to Arnica and I suspect that your sleepiness might be to do with another ingredient in the formulation. Can you take several of these remedies at the same time? Or do I take 1 for a while & try another if not working. Hi Kathleen, with Homeopathy we mostly try one at a time. I am sagar, I am very happy to found you .I am having sleeplessness for many years and not sure i need to call it as insomnia. I am very anxiety/always disturbed with simple things… Please help me in suggesting good homeo medicine to get good sleep.